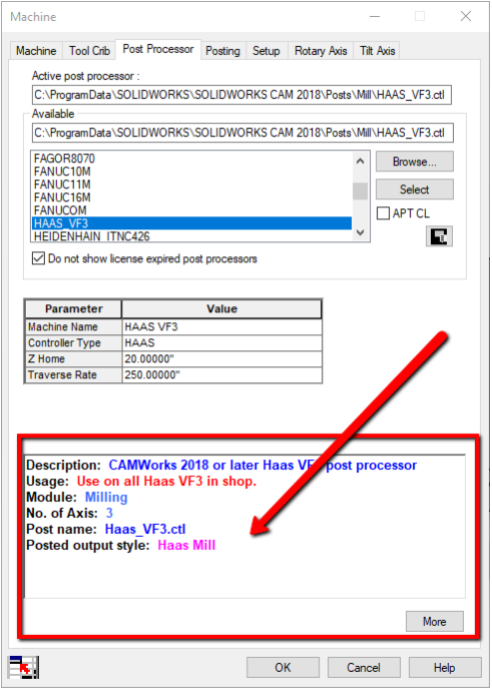 In SOLIDWORKS CAM and even CAMWorks, you may have noticed the "Machine Post Processor" tab has a big blank white space in the bottom of the user dialog. 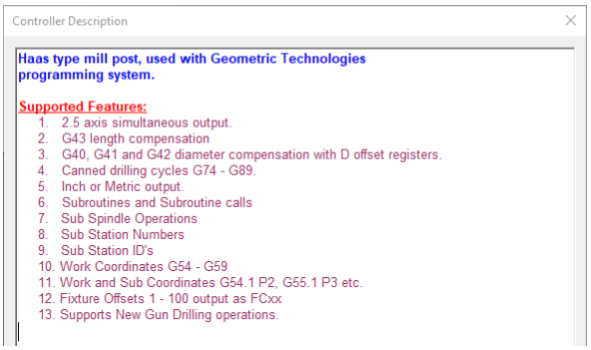 This is the post-processor information preview pane .The information contained here can be used to leave instructions to the programmer about the post and post parameters that control the final G-code output. We get a useful nested document by clicking the "More" button. This reveals the full-text post processor information. 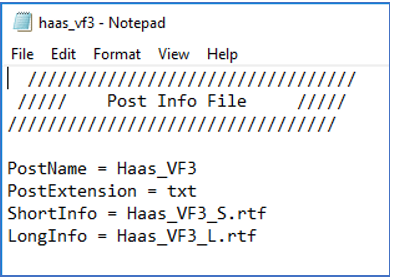 The contents of the .pinf file can be edited in notepad. This is what the contents look like. Once the .pinf file is updated with the post processor names. Just simply place the 3 new files into the same directory as the post. 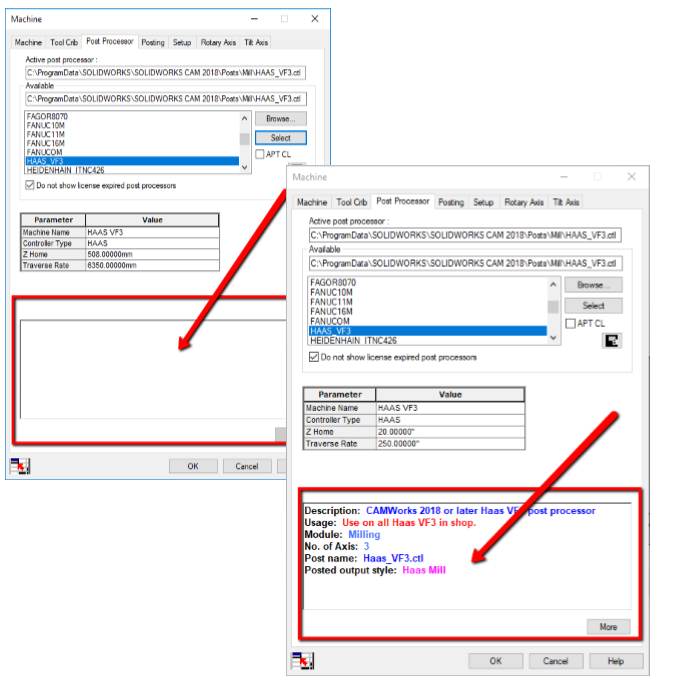 Launch your post processor options you will see the new information populated in dialog. Want to learn more about the future of CAM? Watch our On-Demand Webinar, The Future of Integrated CAM Software!